On this episode of Working: Syracuse we meet Zheadric Barbra. As Assistant Superintendent of School Reform at Syracuse City School District, Barbra is responsible for the improvement of Syracuse's 37 public schools. This is a difficult task given the district's size and its challenges. For example, it ranks No. 2 for homeless students in New York state following New York City and in past years has been ranked lowest average SAT scores in N.Y. state. Many of its students come from homes with economic struggles. In fact, 80 percent of the district's students qualify for free or discounted meals. Out of 21,686 students within the district, 3,700 are English as a New Language students, speaking 72 different languages. But Zheadric's background developed a resilience that allows him to embrace challenges with grace and determination. 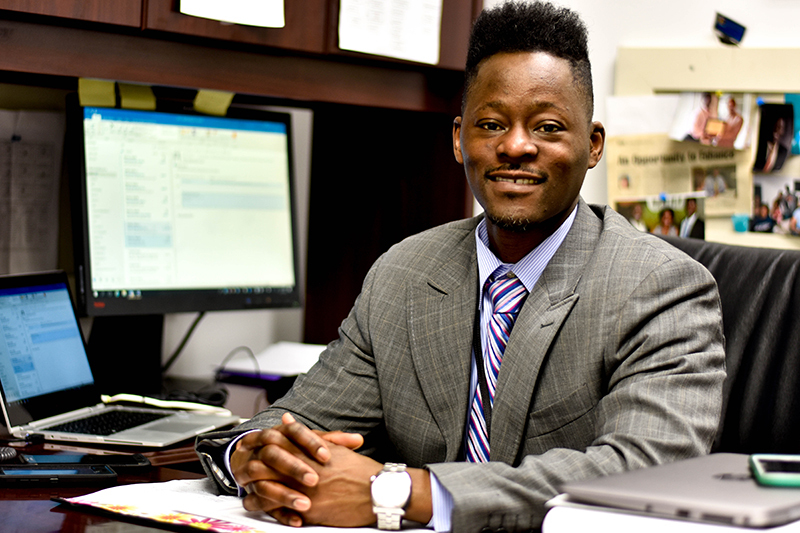 He credits his mother, who raised him and his four brothers alone while working manual-labor jobs and depending on food stamps, as the source of much of his determination and his belief in education. He says she raised him and his brothers with this central philosophy: "There's no other option than what you have in front of you. You can't not do well. There's no other option." She also instilled in him the belief that education serves as the cornerstone of a good life. He's applied these lessons to his own education, career, and experience with fatherhood, and he tries to pass along these beliefs to the students whose educational experience he oversees. About 650 students from grades pre-K through fifth grade travel the halls behind these two yellow doors of Webster Elementary School, one of 37 schools Zheadric Barbra oversees. "We are responsible for what happens between 8 and 3:30," Barbra says. "We fill that student or that child's bucket everyday — and sometimes they go home and lose it; somebody goes and pours that bucket right back out — we just continuously fill that bucket back up." Zheadric Barbra's office, which features a dry-erase whiteboard filled with his to-do items, sits on the top level of the Institute of Technology at Syracuse Central High School. Motivated to emulate his own childhood mentors, Zheadric says there was always a teacher and a leader in him. 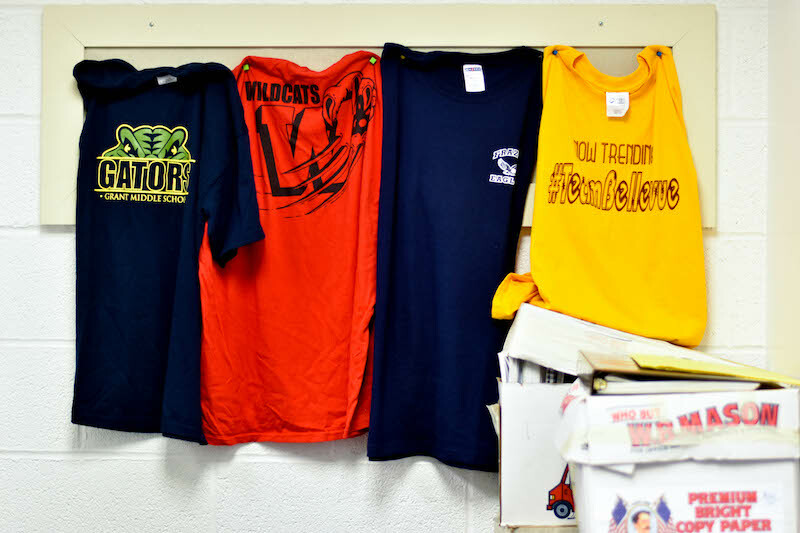 Team shirts from schools for which Barbra worked hang in his office — keepsakes that remind him of all the students he's taught and coached. BRONTE SCHMIT, HOST: Hello and welcome to Working: Syracuse, the podcast inspired by journalist Studs Terkel featuring Salt City residents talking about what they do to earn a paycheck and how they find meaning in those jobs. I'm your host Bronte Schmit. This episode reporter Alex Erdekian spoke with Syracuse City School District assistant superintendent of school reform, Zheadric Barbra. 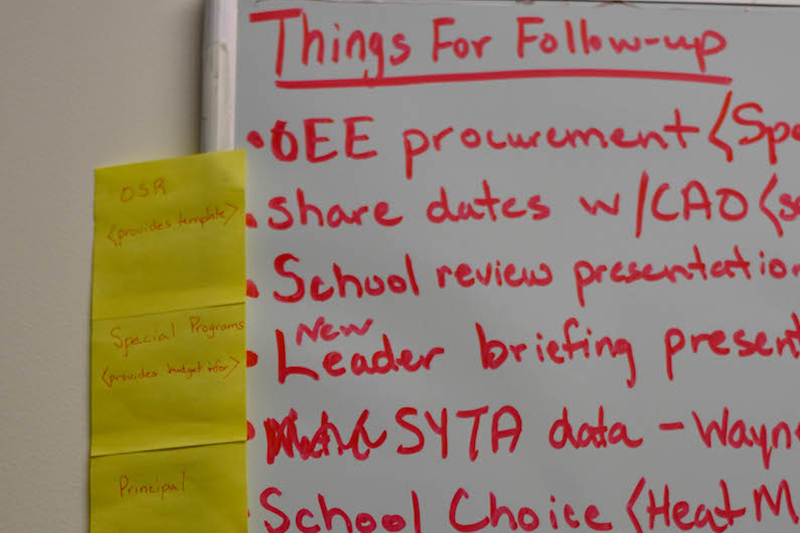 In his role, Barbra makes recommendations for each school's improvement through district-led and state-led visits. He visits classrooms and talks to students, teachers, and parents to inform his suggestions. School reform is a challenging task in Syracuse City School District, which struggles with poverty. Barbra has worn many hats in the education system. 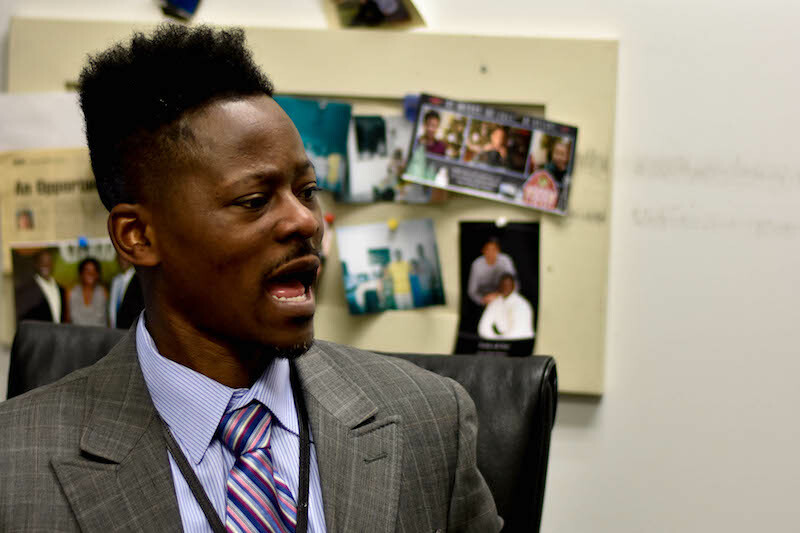 He's been a science teacher, principal, and now a director of reform. In each of these positions, Barbra has brought with him a passion rooted in his mother's belief that education is the foundation of success. ALEX ERDEKIAN: Barbra's mother raised him and his four brothers in Alabama as a single parent and worked in a factory to support them. He remembers one hot summer day when he saw her working her job outside in the heat. ZHEADRIC BARBRA: I'm Zheadric Barbra, assistant superintendent of school reform with Syracuse City School District. ALEX ERDEKIAN: In his current role as assistant superintendent of school reform, he is responsible for a daunting task — improving the district's 37 schools. A job made more difficult by challenges such as attracting and retaining teachers of color and overcoming the inequalities created by the city's segregation. ALEX ERDEKIAN: In this role, Barbra relies on his mother's belief in the power of education, which influenced his decision to pursue a career in this field. His childhood teachers also played a role. ZHEADRIC BARBRA: I had great teachers growing up, I had great mentors. I wanted to be like them. Whether it was Mr. Borne, Tom Borne, the director of the Upward Bound Program. Whether it was Larry Thomas who was my middle school principal. Whether it there was Danny Jones who was the mentor of one of our after school programs. Mr. Russell. And I can go on and on. So I always knew there was something to give back. There was something in me that was like a teacher type—leader type. ALEX ERDEKIAN:: Zheadric also credits his twin brother for his education career. ZHEADRIC BARBRA: I always had a study partner. I always had somebody to go over my flashcards with. Always had somebody that wanted to have a competition to see who could call out his math facts faster. Right? So over time, I think that pushed both of us, to be quite honest. ALEX ERDEKIAN: Zheadric's twin works as a school principal, a job he believes is one of the most powerful positions in the education system. ZHEADRIC BARBRA: A principal has to me the best opportunity to change a kid's life. More so than anybody else in the school district. Because a principal is in a school every single day with a particular child. It could be a sixth grader, seventh grader, eighth grader. That principal has the ability to literally pick up that PA system every morning and program a kid. Think about that. Nobody else can do that. A superintendent doesn't come to your building and do announcements. That just doesn’t happen. Board members don't come to your school and do announcements. But a principal from the morning in the am to the afternoon, has the ability 180 days out of the year to program a kid. ALEX ERDEKIAN: And when he was principal, Zheadric took advantage of every opportunity to directly impact children's lives. ZHEADRIC BARBRA: The things I used to say to my children, I said them so often that they could say my words before I said them. And they lived by them, right. It started to become a part. Stop doing that, you know what that man is about to say. You know what Dr. B is about to say: 'Every choice has a consequence, choose your power of choice wisely.' And they'll tell each other, you not making a positive choice. ALEX ERDEKIAN: Zheadric may have left life as a principal to work for the district, but he is the antithesis of the stereotype of education managers as removed autocrats. In fact, he works to remain involved in the schools in his district and to foster relationships with students. ZHEADRIC BARBRA: I would say many times people would see high or senior level managers in education like myself in this position and make an assumption based off some experience that they've had with some other high level manager at some school district somewhere that individuals like myself that wear a suit and tie everyday, have no passion or have lost a love or are so far removed from a school. And for me that's totally not the case. ALEX ERDEKIAN: As one of his regular responsibilities and to stay connected in the district, Zheadric routinely visits schools. 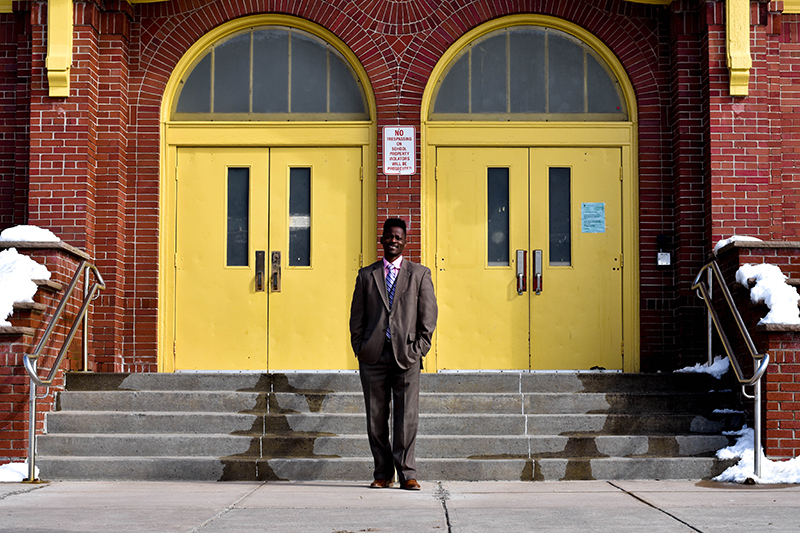 One day in March, he visited Webster Elementary School in Syracuse's Northside neighborhood. ZHEADRIC BARBRA: I'm here serving as an active observer. Almost like the fly on the wall to make sure that the process moves fluidly. This school-led visit is a self-study. Looking at data. Looking at artifacts from classroom visits. Talking with the principal. Talking to parents. And looking at student feedback on assignments and then in that particular group making recommendations based off that. ALEX ERDEKIAN: Among the more challenging issues in the district are poverty, homelessness, and a lack of diverse teachers—according to a recent report, only five percent of the district's teachers are black, compared to 50 percent of the student population. Zheadric remains hopeful that diversity can be tackled through partnerships with historically black colleges and universities and different hiring methods. ZHEADRIC BARBRA: We thoroughly understand that teachers of any background, any race, can teach students or children. But there's also something to be said about having some familiarity and relationship during that exchange from teacher to student, student to teacher. ALEX ERDEKIAN: When it comes to poverty, Zheadric knows reform is more difficult. ZHEADRIC BARBRA: In terms of the poverty, there's, that's built on economics. But what we can do, we are responsible for what happens between 8 and 3:30, from 9 to 4 o'clock. If we fill that student or that child's bucket everyday—and sometimes they go home and lose it; somebody pours that bucket right back out. We just continuously fill that bucket back up, we believe that students will be able to have some level of success and we're also looking at giving students more choices in their learning. ALEX ERDEKIAN: Zheadric's metaphor of filling the bucket means meeting kids' emotional needs during the school day—for example, by letting them enroll in classes they are interested and that help them build skills, like cosmetology, electrical trade, or auto shop. It's this happiness at school that helped push Zheadric and his four brothers to the level of success they've achieved today. And that success level is impressive by any measure. Collectively, the 5 of them have 17 degrees, including two doctorate degrees and two MBAs. But his mother didn't live to see any of her sons receive them. Zheadric was the first to graduate, and his mother died 10 months prior. ZHEADRIC BARBRA: And out of all of the different things that happened along the way including the passing of my mother, and that's like beyond anything else that happens, it still shows if you're able to stick to your purpose and your action, and persevere—you can still have a level of success. ALEX ERDEKIAN: One of Zheadric's greatest concerns as assistant superintendent of school reform is the lack of transparency surrounding the education system's plan for student's success. ZHEADRIC BARBRA: The system itself, education, public education lacks is the ability to be really coherent and clear about what it is we want to do for students, what we will do for students and how will we know when we have done that for students. ALEX ERDEKIAN: But Zheadric's guiding inner belief is clear. ZHEADRIC BARBRA: I just feel like every child, every parent deserves a school, deserves teachers, deserves an environment in their school where their child can learn. Period. Bottom line….I think every child should have the same opportunities to an education and that education actually provides them rights and provides them the pursuit of happiness which is guaranteed by the Constitution of the United States. If you don't have an education, essentially you won't have a pursuit of happiness. I'm just convinced of it. BRONTE SCHMIT, HOST: Thanks Alex. We should note Zheadric has a work alter-ego that comes out on nights and weekends — restauranteur. He co-owns Bleu Chick Restaurant and Lounge on North Salina Street, where he can be found messing around in the kitchen and serving up Southern fare like fried green tomatoes and fish and grits. BRONTE SCHMIT, HOST:That's all for this episode of Working: Syracuse. Check out our website www.workingsyracuse.com for more interviews as well as some extra content on Zheadric Barbra. Be sure to follow us on Facebook and Twitter @WorkingSyracuse. Thanks again to Alexis and Alex for speaking with Barbra. This episode was written by Alexis Jones and Alex Erdekian and produced by Caroline Schagrin. Our theme music was by Logan Piercey. I've been Bronte Schmit. It's time for us to clock out.